Big Idea: Historians and archaeologists describe historical events and issues from the perspectives of people living at the time to avoid evaluating the past in terms of today’s norms and values. 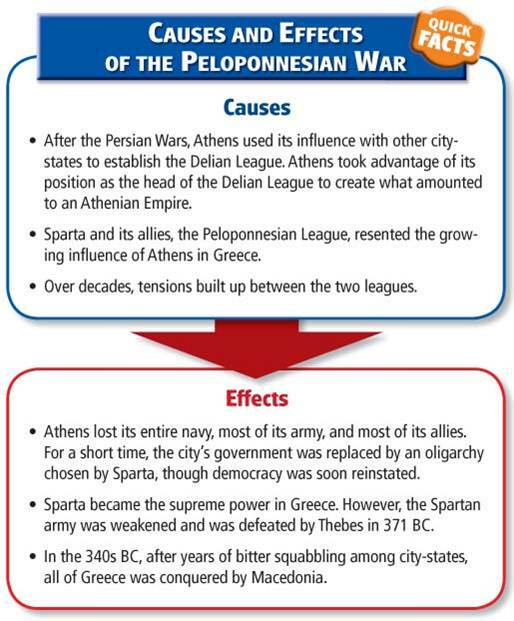 The Notes activity and Video below will help you understand why this war happened and how it changed the fate of the ancient Greek city-states. 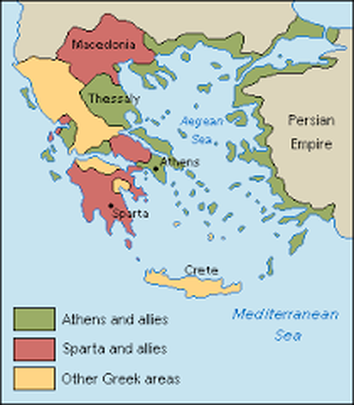 Click on the link to find more information about the Peloponnesian war. Fill in your notes sheet appropriately. Use the website for a majority of info and the chart below for CAUSES and EFFECTS.